Project Type: Automotive DVR. 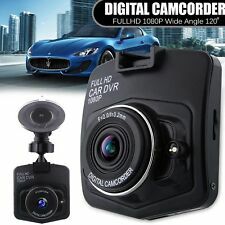 1 X Car DVR. Imaging sensor: 1/4 color Cmos. Video format: AVI. Video code: MJPG. Screen ratio: 16: 9. Reading speed: 10 level. No exception. 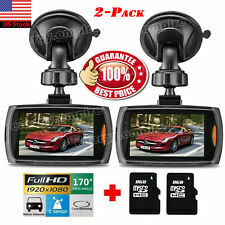 2 x Car DVR Recorder. 1920 1080P Full HD high quality resolution. Easy to install with help of suction bracket. Motion detection automatic recording. This item can record more detailed perfect video image. It can record the high-resolution image with the pixel as high as 1920 1080P Full HD. 1 x Car DVR Recorder. – Light Vision: Night vision supported by 6 IR light. Easy to install with help of suction bracket. 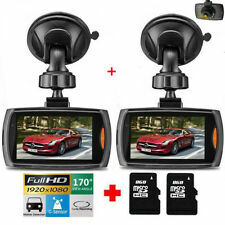 2 x Car DVR Recorder. 1920 1080P Full HD high quality resolution. Easy to install with help of suction bracket. Motion detection automatic recording. 2 x Car Suction Cup Stand Mount. This item can record more detailed perfect video image. 1 x Car DVR Recorder. - Light Vision:Night vision supported by 6 IR light. Easy to install with help of suction bracket. Motion detection automatic recording. This item can record more detailed perfect video image. 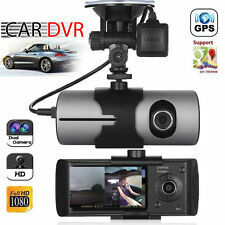 Car DVR Video Recorder Night Vision G Sensor Camera 1080P HD Vehicle Dash Cam. Condition is New. Shipped with USPS First Class Package. Application : Dash DVR. ◈ Wireless Headset. ◈ Wireless Speaker. 1080P HD Dash Cam, Video format H264. Mini HDMI To AV Adapter Converter Cable CVBS 3RCA 1080P Composite Video Audio US. Resolution : 1080p. Type: HD 1080P Vehicle Car DVR Dash Cam Video Recorder. 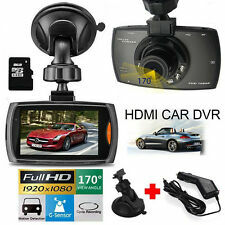 Dual Lens HD 1080P Vehicle Car DVR. - Dual Lens Dash Cam. - Night Vision and Loop Recording. Lens: f: 2mm; F, 2.0 (IR lens). 1 Suction Bracket. Item Type: Car DVR. Almighty hidden driving recorder. 1 x Car DVR. G-sensor: turn on G-sensor. 2G is too sensitive, it would lock a lot of files. Audio: turn on / off record audio. Parking mode: turn parking monitoring. 690+ sold!! Fast Shipping !! 100% buyer satisfaction !! Lens: Front lens with an ultra ultra-wide 140 degrees; back lens with ultra wide-angle of 120 degrees. Movie playback function. Audio: Support recording and playback. Battery: Install lithium battery inside. 1 x Car DVR recorder. ▶ Dual Lens Dash Cam, Front lens. ▶ NIGHT VISION and LOOP RECORDING. Lens: f: 2mm; F, 2.0 (IR lens). ▶ Built-in gravity sensor G-sensor. 1 x Suction Bracket. Color sensor: 1/4"" color CMOS. 1 x Car DVR. Super Night Vision: The car dash cam equipped with 8 LED infrared night vision light, which can open by itself in the evening, providing super night vision. Motion Detection Function Support. Hidden 1080P Recorder Big Screen Navigation FHD Car DVR Camera Video Recorder WiFi ADAS G-sensor USB Driving Recorder Android Features: 1080P full HD lens, 150° high definition wide angle, hidden body design. -Built-in G-sensor for automatic file protection in collision, support auto power on to start video recording after car starts. -Support car and mobile interconnection, mobile APP connection; ADAS intelligent assistant system. (Need to be connected to Android 4.0 above large screen navigator which is not included). Features: high quality HD night vision acuity HDMI HD output Quick lock video files or unlock function Parking monitoring function can record the gravity sensing information and on the basis of car up and down, left and right, front and rear offset to determine when reaches a certain value as the abnormal of driving and automatic lock on the current video protection Specifications: Image sensor: FHD(1920*1080) LCD: 2. Trending at $9.62eBay determines this price through a machine learned model of the product's sale prices within the last 90 days. Car Rear View Camera Auto Parking Reverse Backup Camera Night Vision Universal. 1 x Car DVR recorder. ▶ Dual Lens Dash Cam, Front lens. Lens: f: 2mm; F, 2.0 (IR lens). ▶ Built-in gravity sensor G-sensor. 1 x Suction Bracket. Color sensor: 1/4"" color CMOS. Video resolution: 1280 480 (dual mode), 640 480 (single mode).